Natalie Miller is a Strategic Attachment Lead teacher across Sussex. She has worked in Primary Education for 20 years, specialising in Inclusion and SEN. Natalie has completed and continues to follow the recommended pathway for TIE (Trauma Informed Education). Natalie went on to become an Assistant Head teacher with the responsibility for inclusion and safeguarding. As part of this role, Natalie works alongside teachers, support staff, parents and professionals to develop personalised plans for children in mainstream settings. 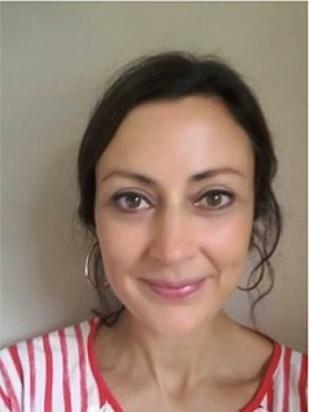 Whilst completing a postgraduate certificate in special needs education, Natalie became interested in developmental trauma and attachment theory. She carried out an action research project into the role of key adults in supporting vulnerable pupils and this led to her undertaking the modular course to become an Attachment Lead. As a member of the TouchBase™ Team, she provides a variety of support for schools, which includes carrying out developmental trauma work using Seguridad Plus and creating individual development plans to support children, families and schools. Natalie also works directly with children and young people with attachment difficulties and their Key Adult or parents/carers at ‘Plot 22’. This is an allotment project where activities encourage connection for those who have experienced relational trauma and loss. Natalie has completed Level 1 Theraplay Training. She leads Theraplay informed group sessions for key adults and individual pupils. In her 1-1 work with pupils, Natalie uses the PACE approach and is about to undertake Level 1 DDP training which will then be incorporated into her practice. Natalie leads the Stressbusters intervention in schools across Sussex This was designed by the TouchBase™ team to help children understand how stress and anxiety affect the body and provide them with strategies to manage this. Natalie also contributes to NQT training on Attachment Theory and has lectured on Safeguarding and Child protection at Brighton University. Natalie is also a tutor on our Attachment Lead Course, accredited by Brighton University and delivered all over the UK. Contact info@touchbase.org.uk for more information on how to work with Natalie.